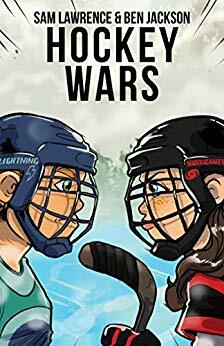 Fast moving young adult novella centering around the issues of sibling rivalry, family relationships, the sport of hockey, coming of age, and divorce. The McKendrick Family is undergoing a crisis. Parents are constantly fighting and are on the verge of divorce. A.J. McKendrick is an out of work architect struggling to make ends meet, placing additional strain on the marriage. High school juniors and fraternal twins, Brad and T.J., strive to shine in hockey, but T.J. has the better grades. Dad places unrealistic expectations on T.J. When finances force the parents to remove T.J. from private school, the brothers are faced with a new situation for rivalry; how to play together on the same hockey team. Their younger brother Chris gets into fights in school and attempts to run away. All this emotional stress plays havoc on the lives of the family, their school, and their friends. In addition, there are the coming of age issues related to romance and future career plans. The short tale offers a lot to young teen readers. 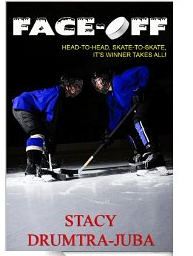 It is packed with action, emotional tension, details about the sport of hockey, and well-defined characters facing issues with which the reader may empathize. This book would be a good choice for a reluctant reader as the tone is conversational and smooth flowing. Juba immediately draws you in and holds your attention. Highly recommended for teens, particularly boys who love sports.